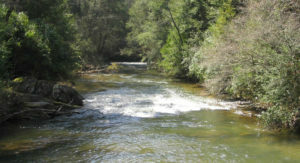 The Nantahala River is widely regarded as one of the premier destinations for trout fishing in the Eastern United States and was named by Trouts Unlimited as one of the 100 best Trout Streams in America. 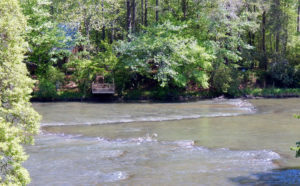 In 2015 the Nantahala hosted the US Youth National Fly Fishing Championship as well as the Men’s Southeast Regional. 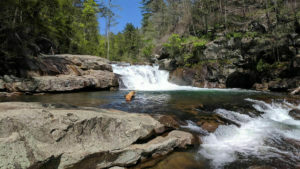 The Nantahala bounds over large boulders and cascades over low waterfalls and provides lots of opportunities for anglers of all skill levels to have an enjoyable time. The experienced guides at On The Fly Excursions can help you cut through the tourism and get (and stay) on the fish.